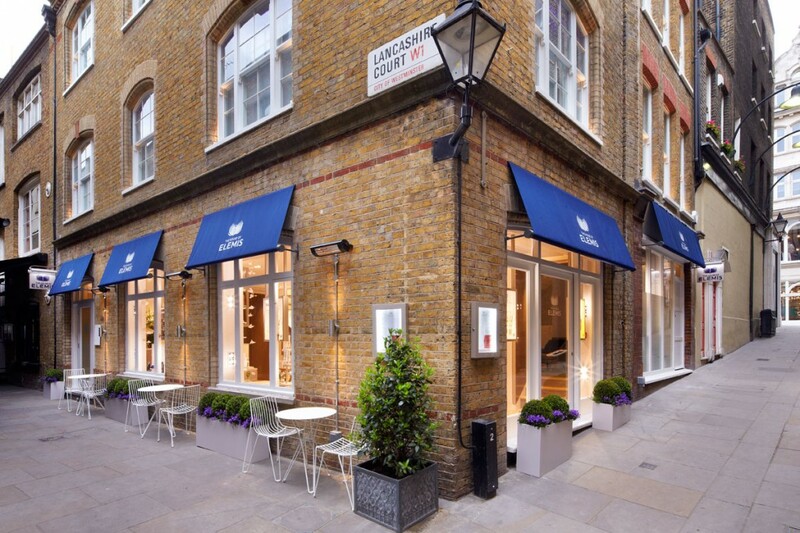 The Elemis Spa in a Mayfair Townhouse in Lancashire Court Mews, London, has traditionally been a relaxation sanctuary and “couture beauty house” (Elemis). The brand decided to undergo a re-design for a new, light and airy space. 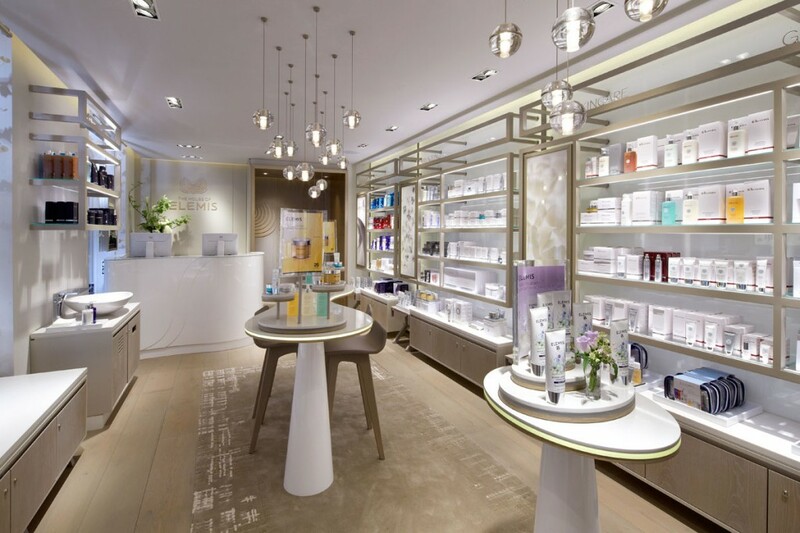 into lighting were appointed as lighting design consultants to work alongside Virgile + Partners in revitalising the old and ushering in a new era – The House of Elemis. 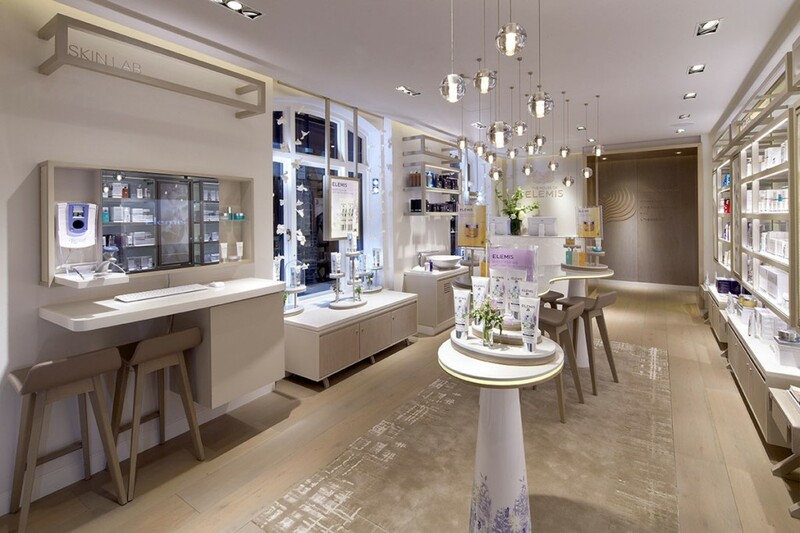 The Elemis brand is built around natural ingredients and a blend between science and nature to create the best skincare and well-being products and services. 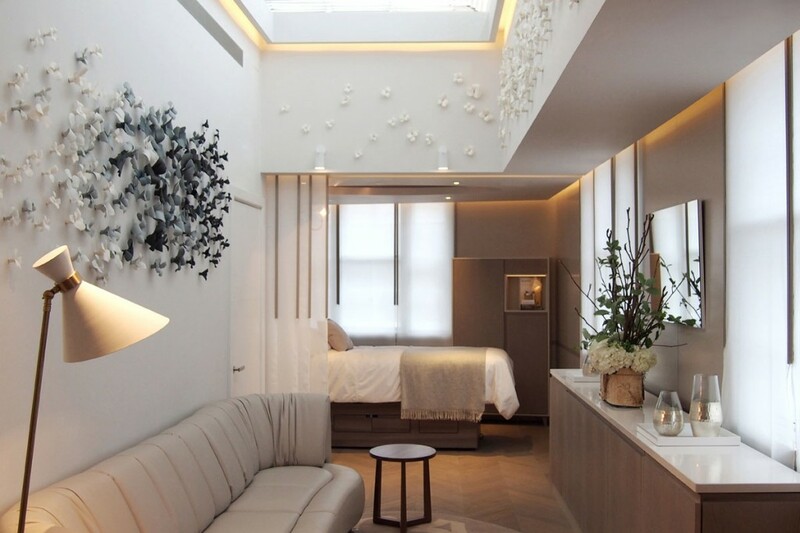 Inspired by the essentials of Elemis, into lighting focused on the effect of various bespoke lighting details, including linear details to display units and indirect details within the ceiling rafts, for a natural glow and a relaxed ambience in the Spa. This was offset with bespoke feature lighting to tables and low-level wall lights to stairwells. To ensure a warm and inviting feel to the space 2700k colour temperature LED products were used. 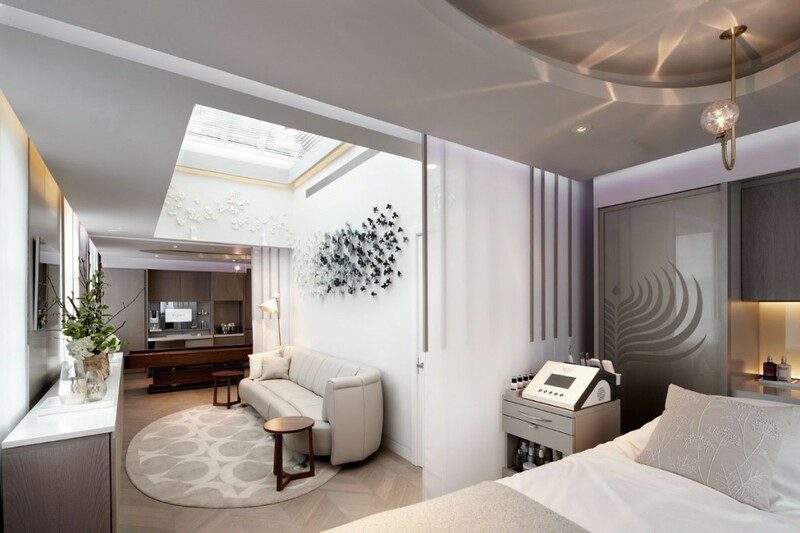 Colour therapy was to be a large part of the Elemis treatment offering and a four sequence colour-change system was used for linear lighting to ceiling rafts to tie in with the Chakras during treatments. All elements of the lighting are easily accessible to staff to prevent interference with treatments.